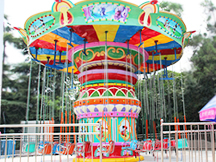 UFO rides, the device is characterized by its unique form and functioning way ahead of the ride. 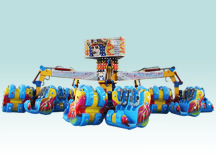 It completely changed the traditional way of amusement ride of back to back. Prominent feature of the device is look gorgeous, exotic gameplay, sound mighty. 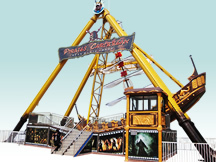 Can accommodate 20 people aboard the simulation UFO, located in the crescent shaped steel frame. 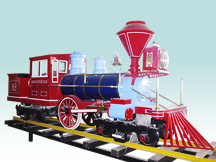 Overall equipped with high brightness colored lights decoration. 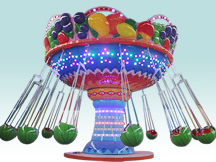 UFO rotates together with the lighting changes, is a UFO amusement park in a dazzling landscape. 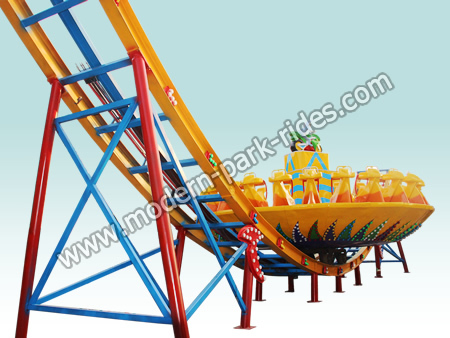 In the play equipment on the breakthrough of the traditional method of rigid single movement, UFO along the steel tracks, swipe up and down movements, while the rapid rotation itself, the passengers on the UFO rides whipped up and down, confused, very exciting.